Is the date you want booked? Contact us! 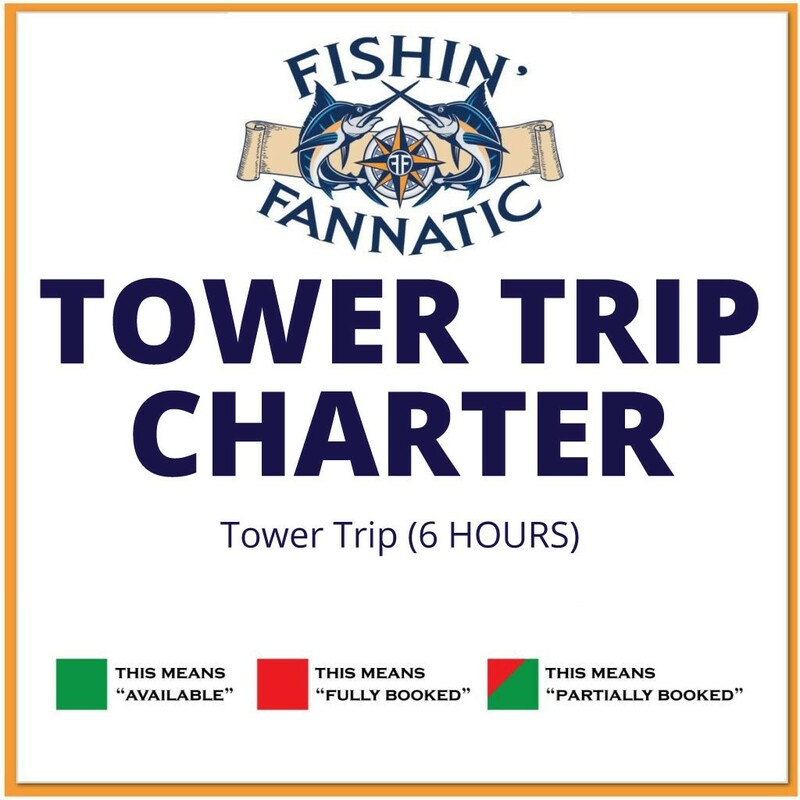 Gather up your family and friends and enjoy a 6 hour Tower fishing trip. On this trip, we troll offshore about 18 miles to the navigation towers. Once at the Tower, we use live bait to catch amberjacks. On the way to the tower, you never know what you might catch. We have had mahi-mahi, king mackerel, little tunny, and some sailfish. All bait, tackle, and licenses are provided by the Fishin’ Fannatic. Up to 6 people can join in on the fun!